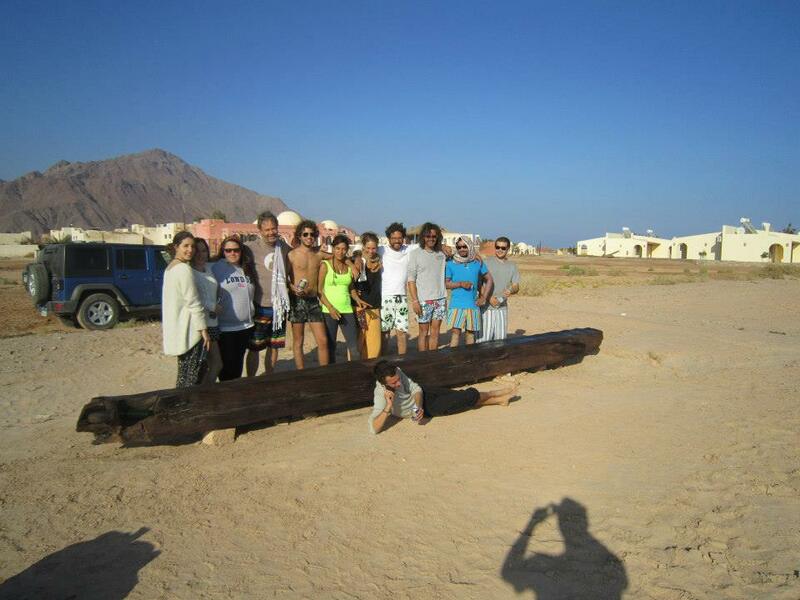 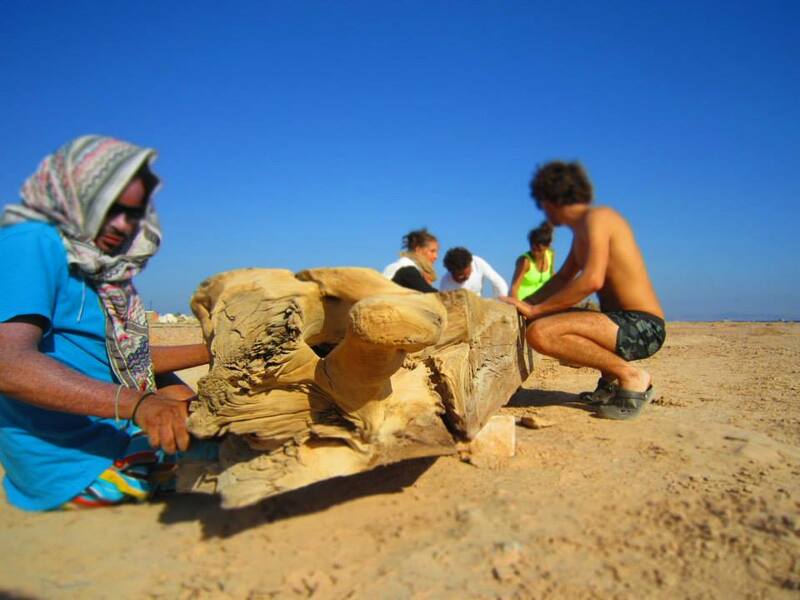 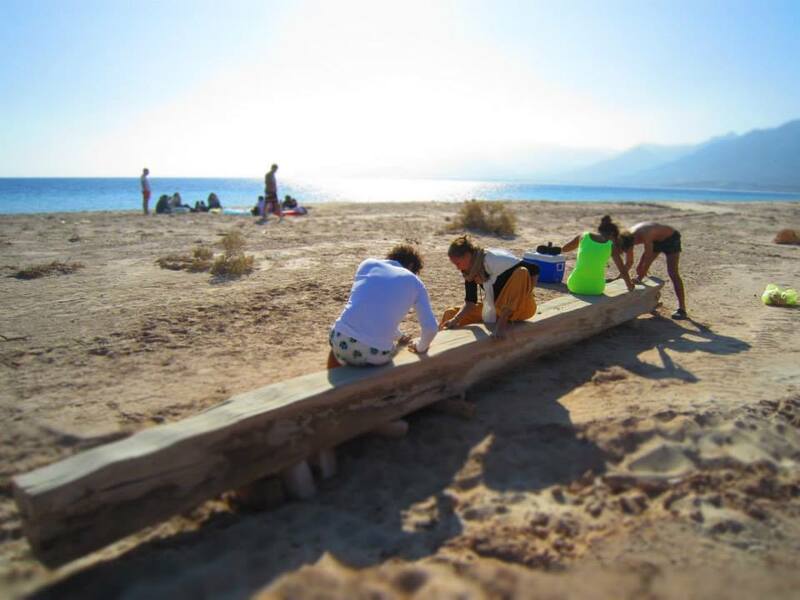 A community bench made with a lot of dear friends at Nuweiba, Sinai, Egypt on a lovely beach just after hotel Bawaki from a beautiful huge trunk of wood that has been lying there on the beach for years. 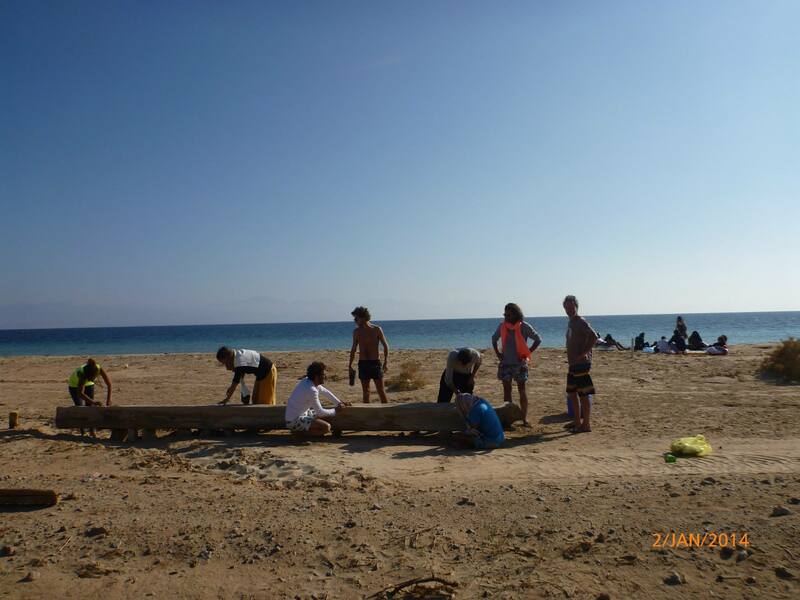 It was never used during that time but was elegantly polished by the sun rays and the sea breeze to a beautiful tinge. 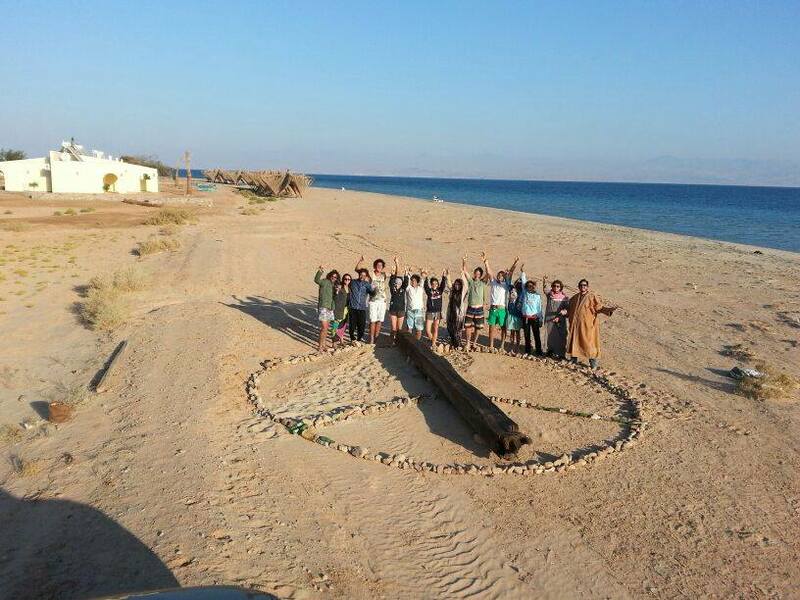 We dug it up, leveled it on rocks, cleaned it, protected it with a coat of olive oil and finally transformed it into a peace sign. 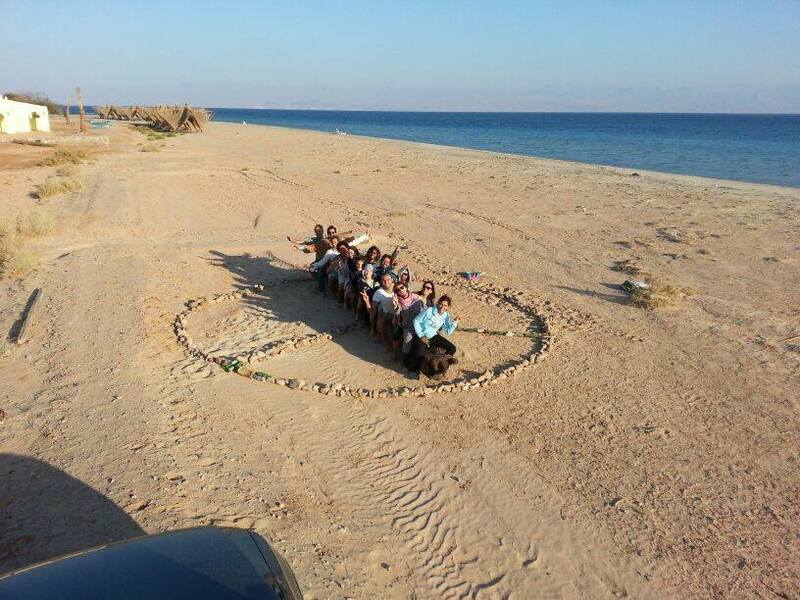 So next time you are there, go visit the bench and enjoy a very peaceful view.